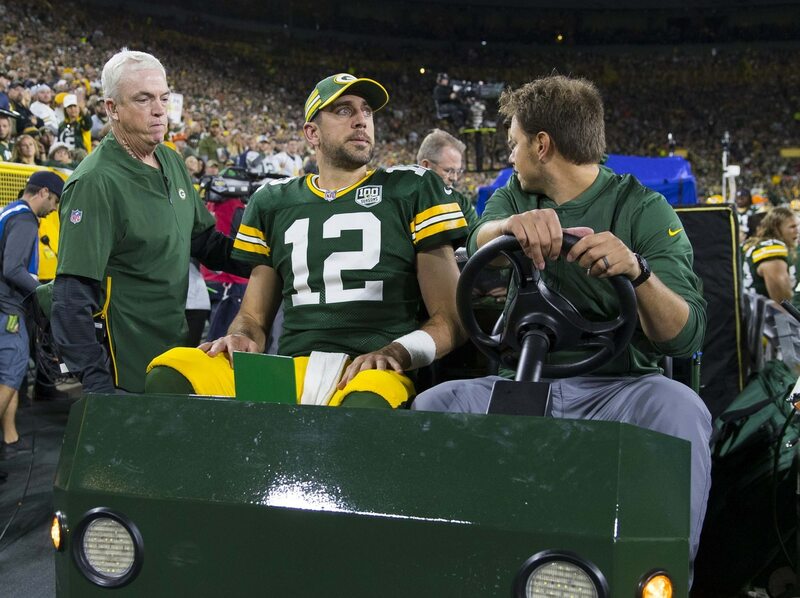 Despite leading his Green Bay Packers back from a 20-0 deficit in the team’s Week 1 win over the Chicago Bears, quarterback Aaron Rodgers has yet to return to practice. Rodgers suffered a sprained knee in the win and was obviously hobbled during the game. While Rodgers has in the past said he will be good to go for Sunday’s game against the Minnesota Vikings, head coach Mike McCarthy is not too sure. Aaron Rodgers won’t practice again today, and Packers’ HC Mike McCarthy said that could make for a good headline: “This is no layup,” McCarthy said of his QB decision. Green Bay has to weigh the risk of playing Rodgers in an early-season game with the reward that would come with a win over the defending NFC North champions. That’s a decision the coaching and medical staff will make, not Mr. Rodgers. Based on McCarthy’s comments, we’d conclude that Rodgers is highly questionable for Sunday’s game. An early-season MVP candidate, Rodgers completed 20-of-30 passes for 286 yards and three touchdowns in Week 1. If he’s unable to go, DeShone Kizer will get the start. The second-year quarterback turned the ball over twice against Chicago.